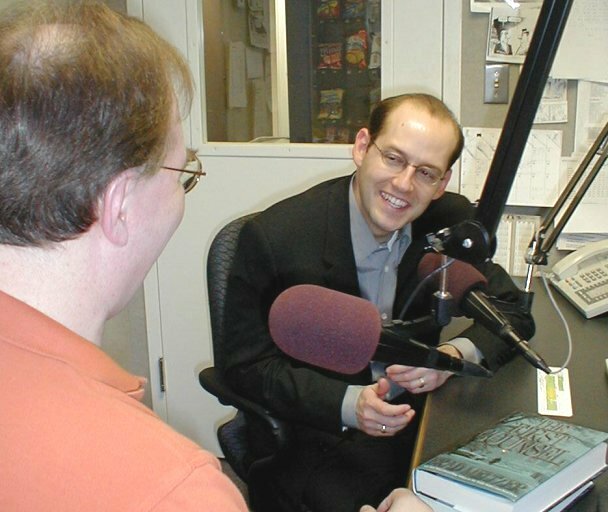 Up until a few years ago I did virtually all my author interviews in a nice air conditioned, soundproof studio. Whipped ‘em in and out, one author after another, all afternoon, sometimes four or five a day. Then, a few summers ago, my personal circumstances changed (long story, some other time), and the studio was no longer an option. That’s when I took my act on the road. I now schlep around to the authors, as they visit the nation’s capital and surrounding area. It’s not as easy or efficient as the doctor’s-office-like studio setup, but it’s a daily adventure I have grown to love. So I figured that from time to time, I would blog about where-I’ve-been-this-week. This week started with a visit to a Starbucks in Alexandria, Virginia, to meet debut novelist Eleanor Henderson. Ironic, that the woman whose book Ten Thousand Saints has been shortlisted by all kinds of news outlets this summer as a “must-read” sits in virtual anonymity to talk with me about it. She worries about the noise, but it’s not a problem for my trusty Olympus DS-2 (best money I’ve ever spent on a recorder). Also on Tuesday I had a rare in-studio interview with the Washington-based novelist Keith Donohue, who was kind enough to stop by on his way to work at a federal agency downtown to talk about Centuries of June. Thursday a quick Metro ride downtown took me to Chocolate Chocolate, a Washington institution. Seriously, visitors, make sure you set aside time after you’ve been to the Smithsonian, the Washington Monument, and the Spy Museum to stop in at the shop run for over 27 years by the Park sisters, Francie and Ginger. 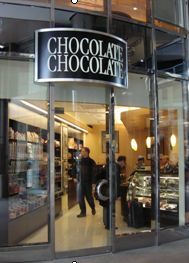 Their memoir Chocolate Chocolate is a great story about family, love, business success and – of course – chocolate. Full disclosure, FTC: Ginger sent me home with a generous sample of the store’s wares, the store’s distinctive small dark bag clearly making me the envy of everyone else on Metro. Sure is better than the whip-‘em-in-whip-‘em-out days.